Therapeutic mud Kuyalnik properties of the composition of the treatment musculoskeletal joints mud bath at home sulphide mud store to buy traditional medicine. Available in stock. Fast shipping. Sulphide mud - a fine organomineral bottom (sludge) deposits predominantly saline reservoirs containing sulfides (hydrogen sulfide, sulfur and iron compounds) and water-soluble salts, whereby they acquire a black color, the smell of hydrogen sulfide and ammonia. The water content of the mud varies from 40 to 70%, debris particles larger than 0.25 mm is not higher than 3%, which makes this type of peloid special softness and flexibility, it is easily applied to the skin and is retained therein throughout improving procedures . This type of therapeutic mud also called "core", or an inorganic mineral, since the richness of its water-soluble salts, they contain a relatively small amount of organic matter (less than 10%). Of these should be allocated various acids, pigments, and penitsillinopodobnye follikulinopodobnye substances that penetrate the skin and have a pronounced therapeutic effect. In addition, the medical complex includes a lipid product which produce blue-green algae. Sulphide mud have antibacterial and absorbent properties, which depend on the degree of salinity of the reservoir - the higher it is, the more suppressed the growth of pathogens. The aqueous extracts of sulphide mud also established the presence of a bacteriophage, which has the ability to destroy and absorb dysentery Escherichia coli, Staphylococcus, Proteus and other pathogenic flora. In this regard, in the first place on the adsorption of staph is sulfide mud. It was found that the sulphide mud absorbs aureus at 96-99%. According to its thermal properties are inferior sulphide mud of peat and sapropel, but on the content of iron sulfides, water-soluble salts and TDS them significantly outperform. In composition, curative mud salt solution generally follows the salt composition of the reservoir, which can be allocated sodium chloride, sulfate-chloride, sodium-calcium carbonate or sodium salts. The sediments are clayey material rich in iron oxides. Sulphide muds have greater biological activity than other peloids, due to the presence of hydrogen sulfide therein. As a result of complex biochemical and physical and chemical processes connected with iron sulfide and forms gidrotroillit (iron sulphide) - one of the main and the most active component of sulfide mud. 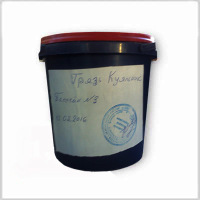 Therapeutic mud Kuyalnik consists of: the solid phase and liquid phase. The solid phase consists of a therapeutic mud coarse part (core dirt) and part of the fine (colloidal complex). The liquid phase of the mud (mud solution) consists of water, of dissolved inorganic salts, organic compounds and gases. In mud solution along with dissolved mineral salts therein, contains organic substances and gases. Gases are formed by biological processes and chemical reactions. This sulfide (peculiar odor dirt caused primarily hydrogen sulfide and is an indicator of its therapeutic effectiveness), methane, carbon dioxide, hydrogen and others. If the gas content exceeds the solubility in a solution, they are allocated in a free state, forming a so-called volatile complex. It is a volatile complex has the greatest ability to penetrate into the body through intact skin. Therapeutic mud Kuyalnik recommendations. Therefore, a walk along the estuary Kuyalnik also have a significant therapeutic effect. The most important part of the biological therapeutic mud are microorganisms. Microorganisms therapeutic mud of Kuyalnik actively participate in the regeneration processes to ensure the expansion of flora and fauna, the formation of the organic substrate of mud, the processes of gas, bactericidal and adsorption ability of therapeutic mud. Therapeutic mud Kuyalnik buy Dnepropetrovsk.